If you’re looking to elevate your sales team or advance your own sales career, start with DiSC. 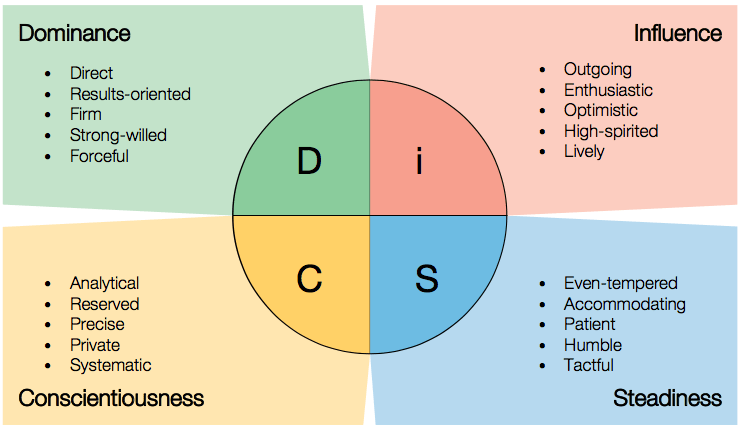 DiSC is one of the world’s leading personality tests for assessing how well you work by yourself and in teams. You’ll discover how you problem solve and what motivates you as well as what causes you stress and conflict. We here at Advanced Hiring System don’t get any incentive for promoting this tool. But from its validity and reliability, we have found the DiSC assessment to be a core staple in the sales hiring process. Read more to learn how to read the DiSC quadrants, how to identify a potential top performer, and find out what an example profile looks like. Here is a breakdown of the 4 quadrants: D, i, S, and C.
Also referred as Drive, candidates with high D scores are more inclined to be self-starters, leaders, and risk takers. They tend to be direct, assertive, and self-confident. They love to be in control, see more of the bigger picture, set and achieve tangible goals, and receive praise from others. On the other side of the coin, D-personalities don’t do well with negativity, skepticism, showing patience, being sensitive, or when their freedom is compromised. Both Hillary Clinton and Donald Trump, opposing candidates in the 2016 presidential election, are known high D scoring personalities. Candidates with low D scores are considered to be “yes-men,” or those who are naturally more agreeable and accepting of the status quo. They are dependable and eager to help, no matter the cause. Since they are people-pleasers, they partake in new experiences and interact with new faces more so than most. They are willing to get the job done at any cost, even if that means putting their mental or physical health to the side. However, low D scorers are not the most honest or attentive listeners. They also don’t handle disappointment well. 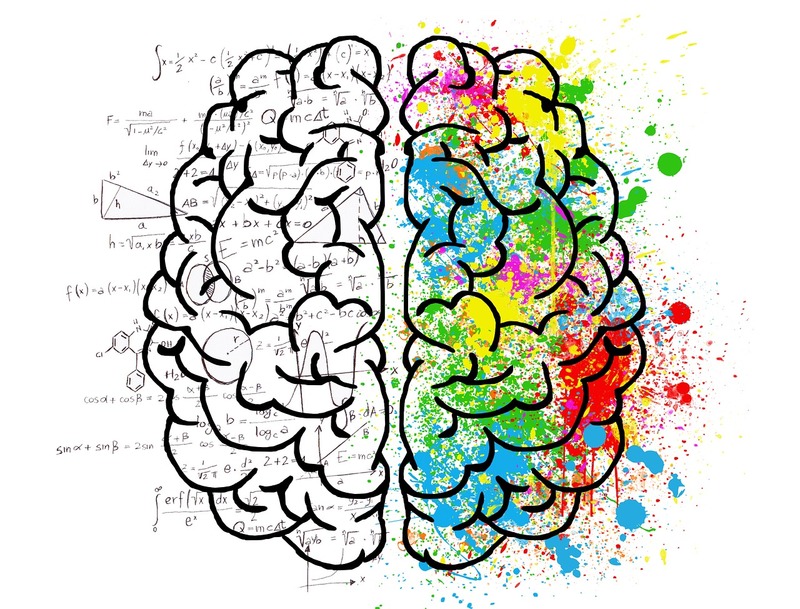 I-personalities are extroverts by nature with an an overflowing bank of energy and genuine interest in connecting and interacting with others. People with high I-scores are naturally optimistic, persuasive, motivating, humorous, talkative, and creative at problem solving. That is why they thrive fast-paced environments where they can express themselves and receive both attention and praise. I-personality types do not do well with conflict, inflexibility, disapproval, being ignored, and paying attention to smaller details. Concentration and follow-through are also other areas of improvement. People with low I-scores tend to be more skeptical, fact-oriented, and fearful of change. Famous I-personalities are comedians Jim Carrey, Richard Pryor, Jay Leno, and Robin Williams. People with high S-scores sway further from the high-energy, impulsive nature. S-personalities are rather calm and collected individuals who are mindful of their word choice and workload. They love plans, routine, and structure so much so that they can work on a given task for long periods of time without complaint. S-personalities are friendly and nurturing, but are easily be overwhelmed in groups or when introducing themselves to strangers. They are also slow to adapt and open up in new environments, give their opinions or seek leadership positions. High S-scorers include Dr. Martin Luther King Jr., Mother Teresa, and Barbara Bush. C-personalities are objective individuals who seek perfection and prefer to work alone. People with high C-scores are autonomous, analytical, logical, even-tempered, diplomatic, and prideful of their work. They are motivated by accuracy and always finding a more effective way of doing things. Due to their strict attention to detail, C-personalities are overly skeptical, passive, critical of others. They also need clear guidelines, expectations, and reassurance since they are extremely independent and fearful of criticism. Where they could improve is being more open to new ideas and risks, focused on relationships, and getting the job done without exhausting time over the little things. Famous high C-scorers are Albert Einstein, Bill Gates, and Tom Brokaw. Each individual candidate can display some of all four behavioral styles depending on the situation. This combination of styles is called a style blend. Each candidate’s style blend will have more of certain traits than others. At Advanced Hiring System, we have noticed a solid 80/20 rule when it comes to DiSC style blend, where about 80% of people have two high-performing DiSC quadrants and two that are low-performing quadrants. The remaining 20% sit in a 3:1 ratio or 1:3 ratio. While there are no wrong profiles, there are profiles that are just not suited for some job functions, such as high pressure sales roles. 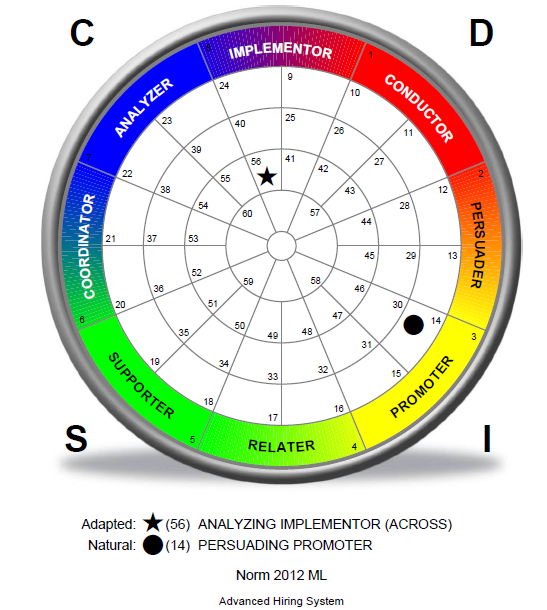 Below is an example DiSC graph of a sales candidate that placed in the 14 and 56 quadrants, with 14 being a natural Promotor and 56 being an Implementor. The studies we have performed show that plot points that are far apart from each other result in shorter job tenure. Though, if the candidate has no sales experience, we weight heavier the Natural Style score. 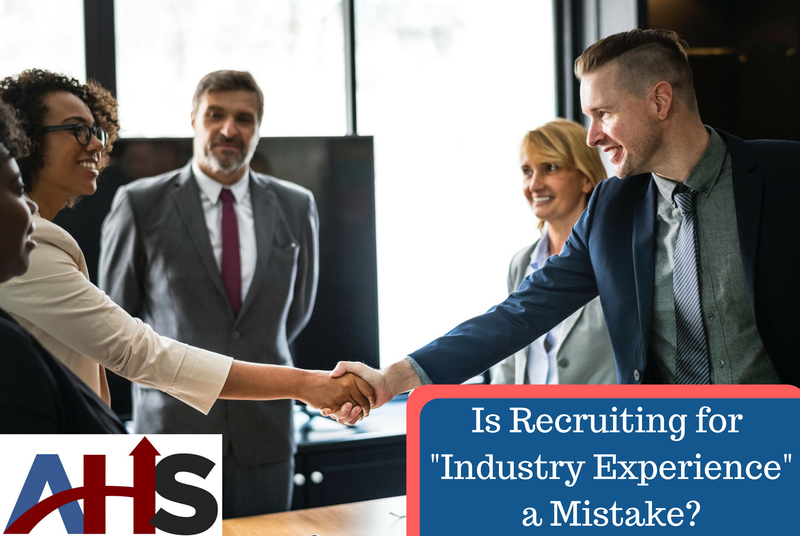 In terms of this particular sales candidate, we would rather see the Implementer score a bit more to the outside before arranging an interview. The DiSC personality test is an invaluable assessment tool to gauging sales candidates and restructuring your team to an effective selling machine. Contact Advanced Hiring System today to learn how your company can grow and generate new revenue.